His Excellency Umaru Tanko Almakura has described Hon. Wadada as a wonderful addition to the All Progressive Congress (APC) and a politician equal to the task of running for any office he chooses. Gov. 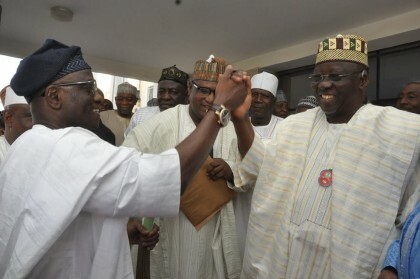 Almakura made this known as he received Hon. Ahmed Wadada who was led to the Government House by the Nasarawa APC Chairman Mr. Philip Tatari Shekwo , the state exco of the party and supporters of the APC in a brief ceremony which was more of a meeting of old friends. Ta’al Circle reports the Governor who warmly received the Former House of Reps member commended him for his decision to move to the APC at such a time assured him of equal status with all members of the party. He tasked all those that want to move to the APC to follow the path Hon. Wadada took and ensure they follow the needed process starting from their wards and work their way up. Speaking Earlier , Hon. 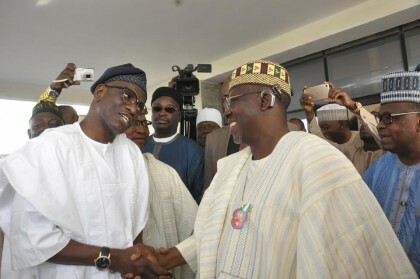 Wadada made it known that he left the PDP because they were not united and came to APC mainly because of Gov. Almakura and the brotherly way he had been with him regardless his (Wadada) being the spearhead of the opposition and being a major critic of the his administration. He said he was there to register his loyalty to the party , Gov. 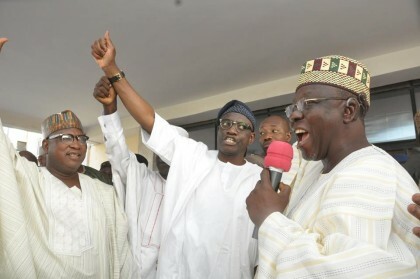 Almakura and the people. Stating he didn’t defect from the PDP but moved back to the APC for the good of the people. Lastly he made it known that he had not disclosed what position he would run for come 2019 stating that he was there to bring his contributions to the table for the good of the people.